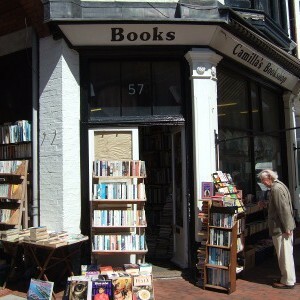 Camilla’s Bookshop in Eastbourne is a large bookshop spread over several floors, and they have certainly made full use of every inch of space provide. 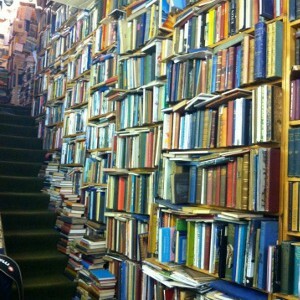 The shop is home to around a million books. 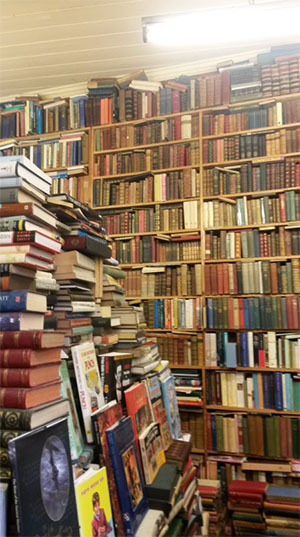 And they really have stuffed the shop to bursting point, filling every shelf from end to end and piled above the shelves in all the gaps. 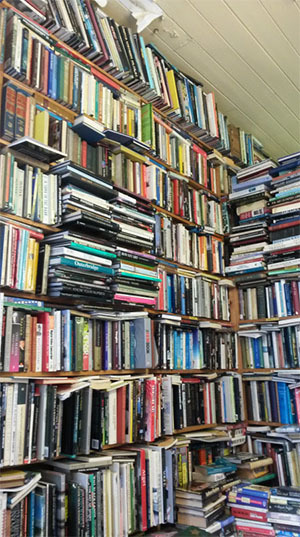 More hazardous piles litter the floor space – if you want a book from lower down in these piles and are afraid pulling one out might unsettle the stack, just ask one of the members of staff who will happily help you. 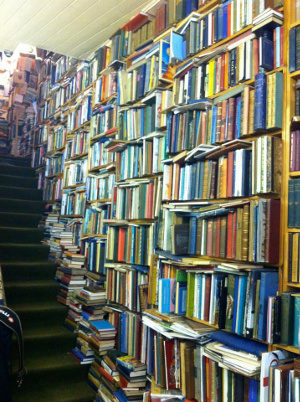 The bookshop is spread over three floors, the ground floor is where you will find the most precarious piles of books, some of which are folio editions, so keep an eye out for hidden treasures. 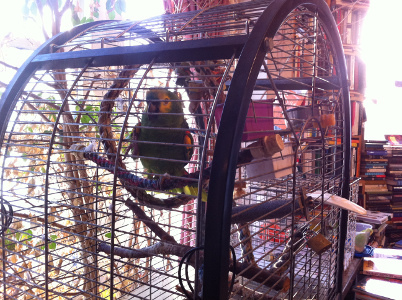 The upper floor is the most organised room in the shop and also sometimes contains the shop’s parrot. The lower ground is organised alphabetically on shelves but again these are stuffed full of books and again piled in the rest of the available space. 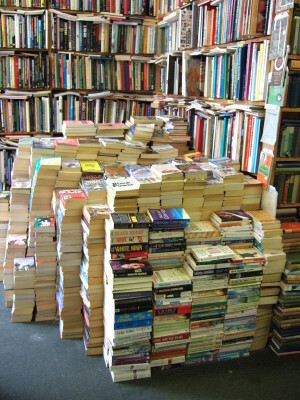 The shelves are quite close together so as you move about the downstairs room go carefully or you might knock some of the stock off. 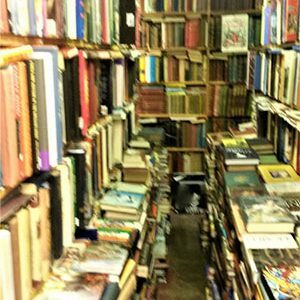 Organised chaos is a phrase that comes to mind when I think of this shop, so unless you know what you want going in and have the forethought to ask a member of staff then you will definitely need all day to explore this shop but who knows what you might find if you do. 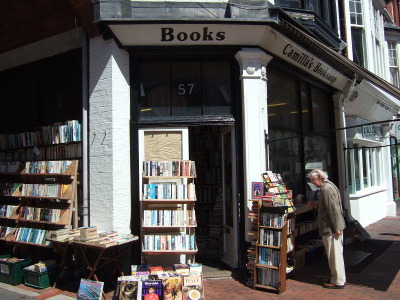 Located at the coastal resort, Eastbourne, is Camilla’s Bookshop. 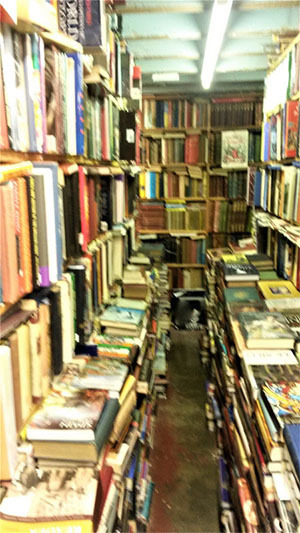 It is a large second-hand, antiquarian bookstore with over one million books in stock (a proportion of which are listed on abebooks.com, amazon.co.uk, and biblio.com). 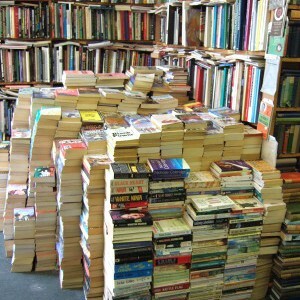 This huge amount of books will come as no surprise if you have ever visited the store. 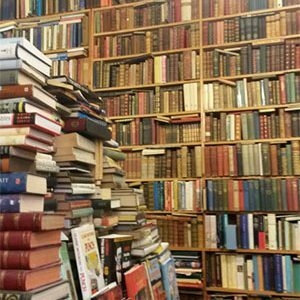 The store is three floors high, and upon entering you will notice that the books are laid out in stacks, in whatever floor space is available – it’s evident that they have run out of shelving space. You may get the initial impression that the store is completely unorganised. However, upon further inspection you will notice that this isn’t the case – an example being the Penguin paperbacks which are in strict alphabetical order. 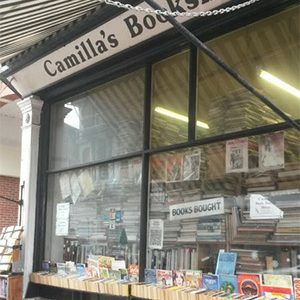 Camilla’s Bookshop specialises specifically in armed services, transport, travel literature, history, music, art, religion, sport, poetry and literary, and modern first editions. 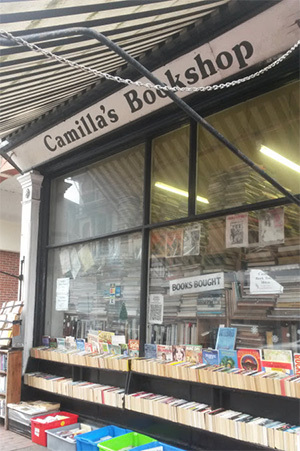 Whilst the bookshop is named as belonging to Camilla, it is actually owned by the two proprietors, Stuart and Camilla, and established in 1976. They used to also have shops in Brighton and Worthing. However, they decided to concentrate on the Eastbourne shop since running three shops proved difficult. This unfortunately led to the closure of the other two shops, although we are happy that the Eastbourne shop survived! 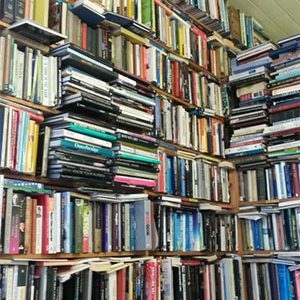 Unusually, you will find an outside bookshelf which operates under an honour system – people are trusted to take a book, and leave what that book would be expected to be worth. 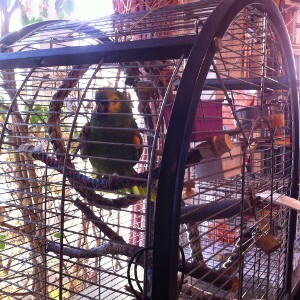 They also have a parrot named Archie, who resides in the shop every Tuesday and Friday. This is an excellent time to visit, since the parrot loves an audience, as well as a sing-song! The bookshop also buys books, so if you’re interested in selling your books, you need to contact them on the telephone number provided below. We don’t know about you, but we think this is the best addition to Eastbourne. If you’re visiting, don’t forget to pop into Camilla’s, we guarantee you will find something to your taste!